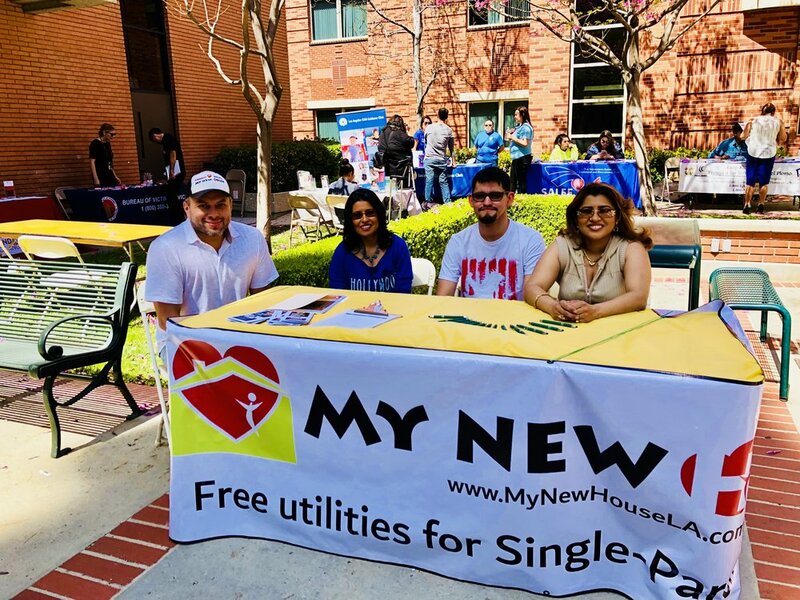 My New House provides multi-focused programs which offer free utilities to fifty approved single-family households in the city of Los Angeles. For homeless people, MNH offers clothing, food, and personal hygiene products for free. MNH collects clothing, food, and other supplies to support the homeless population in the city of Los Angeles. Our volunteers organize and receive goods from the community in which they sort and distribute to the local homeless population a monthly basis. The supplies are the first step toward a positive change for the homeless and help provide a sense of value so they can start stepping toward changing their situation. The Single-Parent Head of Household Utility Relief Program benefits households that are supported by one single person either a woman or a man and have children attending school or children with disabilities. The approved beneficiaries receive a year of aid to pay for gas and electricity expenses. The program is available to any approved single parent or head of household with children younger than eighteen. In all their programs, MNH accepts people with or without a social security number, resident card, or citizenship. Applications are due in August, interviews are then performed to determine the most in need, and the awarded relief program is finalized in July. Having a year of utilities covered has helped these households organize their finances and save thousands of dollars toward a get-a-head plan. We didn’t want to leave without blessing the community we serve. My New House made the invitation to all residents from the Rampart community and customers from Craigslist, 5Miles, Letgo, and OfferUp. 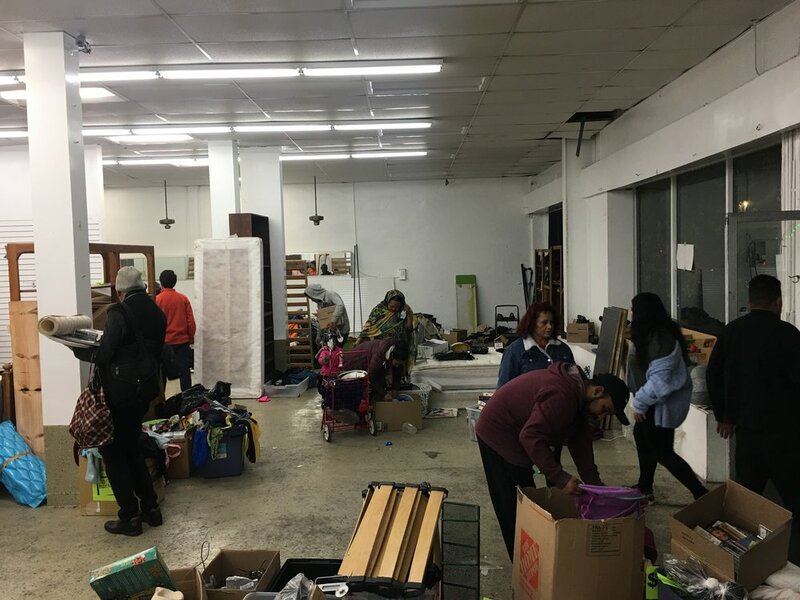 People walked in by dozens taking home furniture, office supplies, clothes, shoes, store fixtures, and everything else they found on their way.